I apologize for being MIA… we adopted a rescue puppy… then we started 4-6 week home repairs/renovations that are now headed into month 4. Things have been crazy, dusty, and sleepless. That being said I believe this post will be WORTH THE WAIT! We make a lot of pulled pork in this house. In the winter we tend to make it in the oven, in the summer we make it in the smoker. Either way it is delicious! What do we love to do the morning after we make pulled pork (provided it is a weekend morning)? Make pulled pork waffles! Never had one? Don’t make a face, they are amazing! 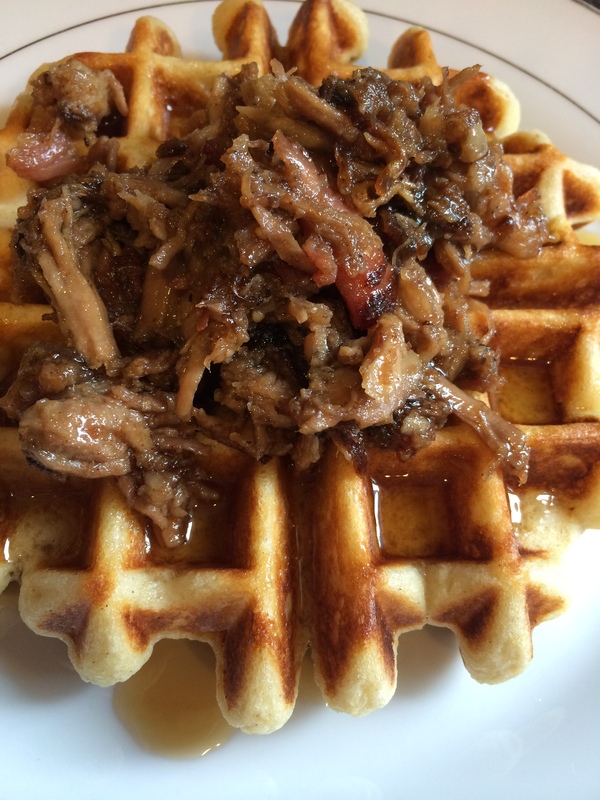 You will need to make two things: pulled pork and waffles. See my previous post for our pulled pork recipe at https://deliciousprimalcooking.com/2014/01/20/paleo-whole30-pulled-pork/ I know the recipe says to cook it at 250°F, but seriously just do 350°F. It saves so much time and doesn’t dry the meat out. Do not premix the meat with any sauce…you don’t want the sauce for your waffles! 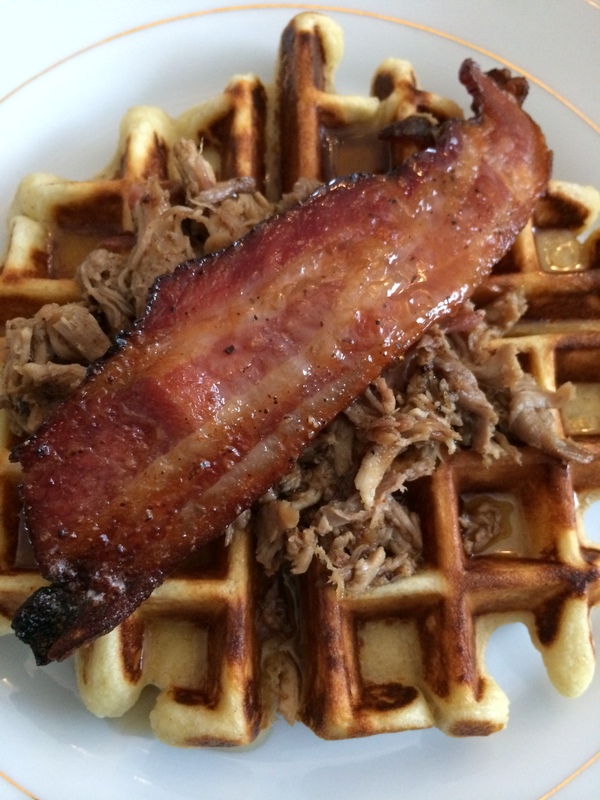 Heat the amount of pulled pork you want on your waffle with pure maple syrup. Whisk together your wet ingredients, then whisk in your dry ingredients. Scoop about 1 cup of the batter into a heated and greased waffle iron and cook until golden brown. 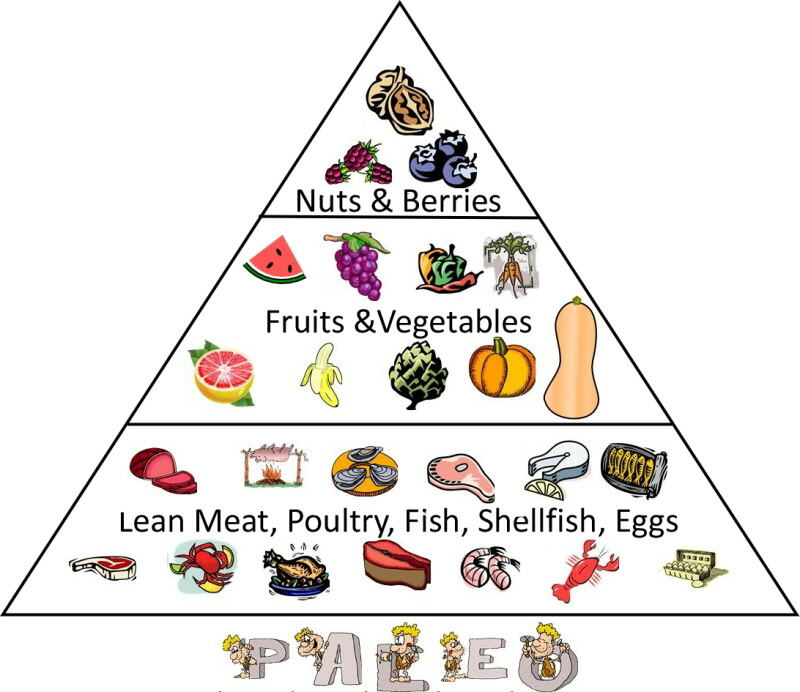 Even if your iron is non-stick still grease it with coconut or canola oil!!! Top waffle with maple syrup pulled pork, and devour. For added indulgence, top with a piece of candied bacon. Just brush thick cut bacon with pure maple syrup and a little pepper and bake in the oven until crispy.